Earlier this week, I mentioned the importance of eating good-quality, organic food and I wanted to provide you with some resources for where to get it. 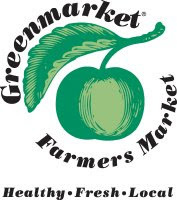 Starting this week, the Astoria and LIC Greenmarkets will be open, operating once a week from now until November. I'll be frequenting the LIC Greenmarket more than the Astoria location since it's open on a Saturday. See below for details on locations and times, not only in Astoria and LIC but across Queens. Wednesdays from 8 a.m. - 3 p.m.
Saturdays from 8 a.m. - 3 p.m.
Sundays from 8 a.m. - 3 p.m.
Fridays from 8 a.m. - 5 p.m.